Known as the 'City of Flowers' for its colourful flowerbeds dotted around, this bustling town is dubbed Italy's Montecarlo with its Casino and lavish Riviera style and the real Monte Carlo can be reached under an hour by train. In fact, the train is a great way to explore the Ligurian Riviera as they go up and down the coast. 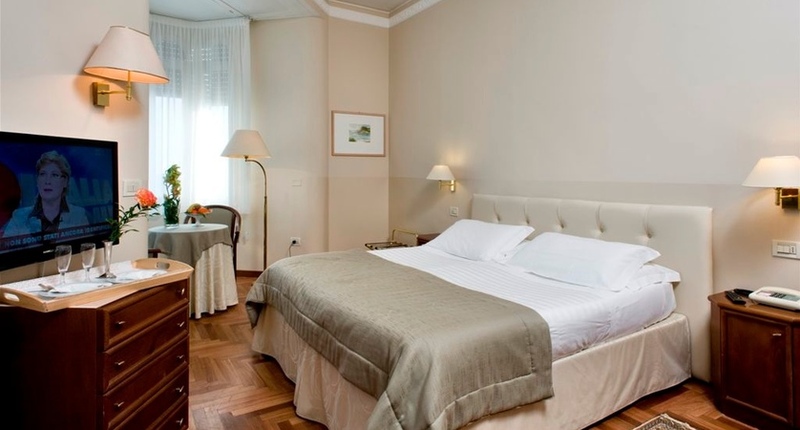 This hotel is styled in the traditional Grand Hotel fashion with classic decor throughout. It is centrally located in the resort, making it an ideal base for either relaxing or exploring the wider area. From its prime position on the Corso dell’Imperatrice, Lolli Palace is at the heart of Sanremo’s luxurious history. Surrounded by luscious palms and overlooking the emerald bay, all of the resorts restaurants, bars, museums, galleries and even casino reminiscent of its neighbouring Montecarlo are all within walking distance.